Traditionally served as a bar snack alongside a sherry, beer or wine, tapas have become a firm fixture on the culinary map thanks to their variety and versatility. Tapas are great shared among friends, making them the perfect choice for party nibbles or as an accompaniment to pre-dinner drinks. You can also serve them as a convivial starter for sharing or cook a range of dishes to make a more substantial lunch or dinner. 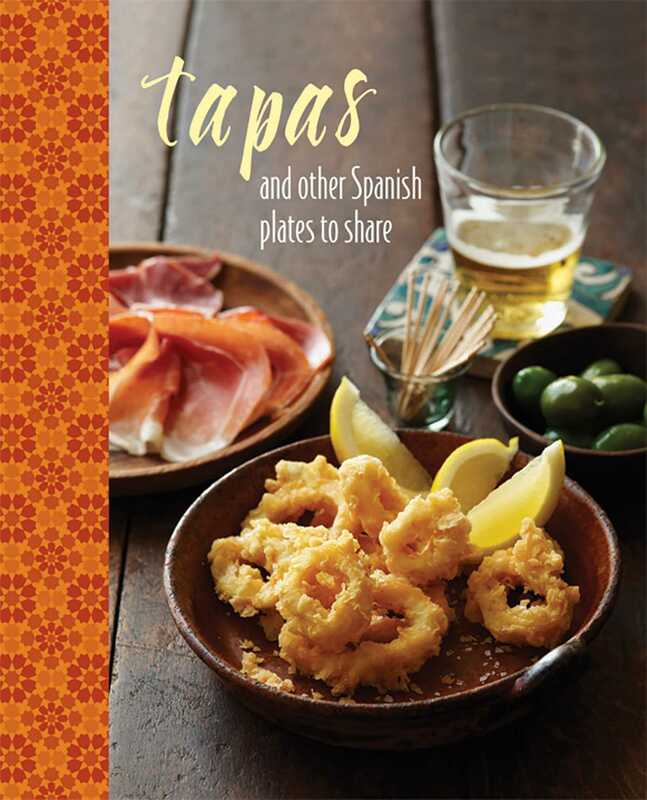 This book covers all of the classics—from perennially popular Patatas Bravas (potatoes in tomato sauce) and Gambas Al Ajillo (garlic shrimp) to deliciously simple Tortilla Española (Spanish omelet) and Piquillos Rellenos (stuffed peppers). A wonderful sharing plate such as the Garlic Olive Oil, Warm Marinated Olives and Jamón Serrano Platter can be created with very little effort—what matters is marrying the right flavors. Many of the dishes can be made in advance such as the Gazpacho, Albóndigas, Alioli or marinated fish dishes, allowing you to enjoy time with your guests rather than being stuck in the kitchen. This book contains all of the recipes you need to discover a new way of eating and entertaining.